A good campground we stayed at in Cape Coral Florida. The right Campground can make your trip or vacation a fantastic experience, but at the same time, staying in a really bad Campground can ruin your RV trip for everyone. Regardless of whether you’re new to the world of camping, or if you’re someone who has traveled around the country in their RV for decades, probably the most important task you perform, the most often, is making sure you search for and find a really nice campground to stay in. During my years of camping, I have always tried to plan my trips carefully far ahead of time. I make sure I reserve a really good campsite in a great campground for every night while I am traveling. Even when I may only be staying overnight and just want to relax after a long day on the road before I start out again in the morning. I have found that there are so many surprises that can occur in some campgrounds which can affect you, your camper or just the overall camping experience which can quickly make your stay a bad one..
You see, a bad campground could even force you to change your original travel plans, just to get away, which can, in turn force you to replan the rest of your trip and selecting new campgrounds that fit your daily driving plans. And depending on whether you are traveling during the peak season or the off-season times of the year, you can find yourself in a position of wishing you had more campground sources to access in your campground search. 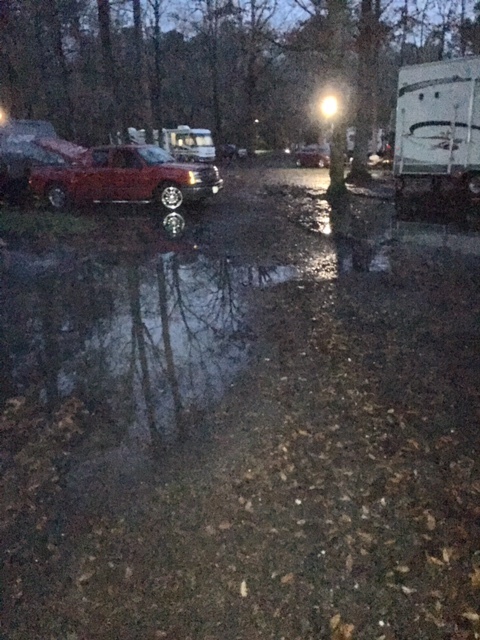 One thing that makes a Bad Campground is one that Floods easily. As the old hands of camping around the country already know, traveling in an RV and staying wherever you want, whenever you want, isn’t easy at all during the peak seasons for Camping. You see, camping is almost exclusively a warm-weather sport. Sure, your RV may be designed to protect you from winds and rain, and it’ll typically have a furnace, fans and even an air conditioner to keep you warm or cool on those nights when the outside temperature make you uncomfortable. The reality is that the majority of RV campers do not travel all of the time. In fact, even the full-timers will want to travel a while and once they get to an area of the country they want to see and enjoy, just want to sit in the campsite, protected from the local weather when they aren’t out exploring the local sights and Nature’s bounty. And then there are the fishermen and the winter sports aficionado’s who specifically travel in order to get to the places where they can enjoy their fishing and cold weather activities, often in more remote areas of the country. As I have said, camping is almost exclusively a warm weather activity for the vast majority of the RV owners in the USA. Because of this, you will find that your fellow campers (and you) will tend to follow the seasons around the US, staying in the Southern States in the Winter, and then run up to the Northern States when the Summer makes the local environments more palatable weather-wise. Luckily for everyone, there are tens of thousands of campgrounds all around the country hoping for their business, but when it’s peak season for them, they will often be fully booked. And they will have been booked by the savvy RV campers months ahead of time to make sure they could get the site they want in the better campgrounds. And if you didn't make those early reservations you could end up in a lower quality campground, with a lower quality campsite, and mediocre amenities. Camp when the weather is great! Camping is almost exclusively a warm weather activity for the vast majority of the RV owners in the USA. Often though, when you are traveling in your RV, especially during bad weather or at the end of a long drive, you may end up needing to stop somewhere, often just for one night and get a good night’s rest before you hit the road for the next leg of your trip. If you add a little bad weather, like rain, gusting winds, even a little Snow, to the equation, you will soon realize that you’re just bone-tired from the combination of; fighting the weather, traffic delays or dodging the crazy drivers on the road with you, and you just need to get off of the road, even though you had not planned such a stop for several more hours. When this happens, you realize you need a way to search for local or regional campgrounds that might have a site or two they save just for such over-nighters as you. Your SmartPhone is your most important Camping and Travel Tool. One of the things a Smartphone does is provide me with useful travel and entertainment information while on the road. When I get to the point that I need to stop at an unplanned campsite for the night, and as a long time RV traveler, this has happened a number of times; I go right to the tools (APPS) I have on my Smartphone. One of the things my Smartphone is designed for is providing me with useful travel, weather and entertainment information while I am away from home, even when I am away from any local WIFI access to the web. I want to have quick and easy access to the latest Maps, Business’ and entertainment facilities wherever I might be located at the moment and every Smart-Phone user will have the appropriate APPs to access such information right at their fingertips. I myself have over a half-dozen different Apps on my phone that are designed to provide me with Camping and Travel information when I need it. Regardless of whether I am searching for information on; Campgrounds, how they rate, what they offer as amenities, pricing and any available sites. But best of all, they give me detailed GPS directions to these campgrounds, directly from wherever I may be, at that moment. There are dozens of these Campground Clubs that may provide discounts on only one campground to others that include a dozen or hundreds of campgrounds. Sell New and Used RV's. Provide Rv service and repair by trained technicians. Sell Roadside Assistance and RV Insurance. manage a GoodSam Camping Club including information on thousands of affiliated Campgrounds. As a member of GoodSam, which is a relatively cheap RV-centric camping club, you have access, via their website, and their APP and their catalog, to several thousand campgrounds scattered around the US. And, as a member you get a small discount (typically 10%) off of the the campground price from the participating campgrounds, along with the GoodSam ratings for that campground. You will also find listings of the basic amenities at each campground, among other things. The GoodSam App has a “Find Parks Nearby” option that will use your location and list the closest campgrounds to you. You just enter a few characters and a list of campground pop up and you immediately have campgrounds, their GoodSam ratings, along with their address and phone number. Passport America is another large campground membership club for RV owners that keeps over a thousand participating campgrounds in their system. They have an annual fee of $45, but just a couple of stays can save you this money. They also have mobile APP that works pretty good, and you can find the available campgrounds, by state along with each campground's; amenities, location, directions, and camping discount specifics. PA advertises itself as a 50% off campground provider. Each of the campgrounds that is a member of PA will give you 50% off of their regular pricing, but be aware that the discount is guaranteed for only 2 days. This is a great deal for travelers while they are on the road, and the campgrounds are very nice ones. But, be sure to read the restrictions and rules that each campground had in their description. The discount can be only for; certain parts of the season, specific days like week-days, certain sites, some of which may have limited hookups. Always call the campground a couple of days ahead of your scheduled arrival time and get the latest information from them. I have seen the campground move PA people from their site to another, often not-so-good site, and I have also seen them move some people to a better site, so always check with them for the latest situation for you. On the other hand, when you use one of these campgrounds in the OFF-Season, you can often get them to give you 4, 5 or even more extra days at the discounted price rather than not get anything for that empty site. Just be nice and ask politely. It works often. KOA is a company owned group of campgrounds often leased and managed by an individual. KOA (Kampgrounds of America) includes over a thousand campgrounds across the USA and gives it's members 10% off of their listed site rental rates. They provide both RV Campsites, Cabins, and tent sites. An annual membership costs $45. 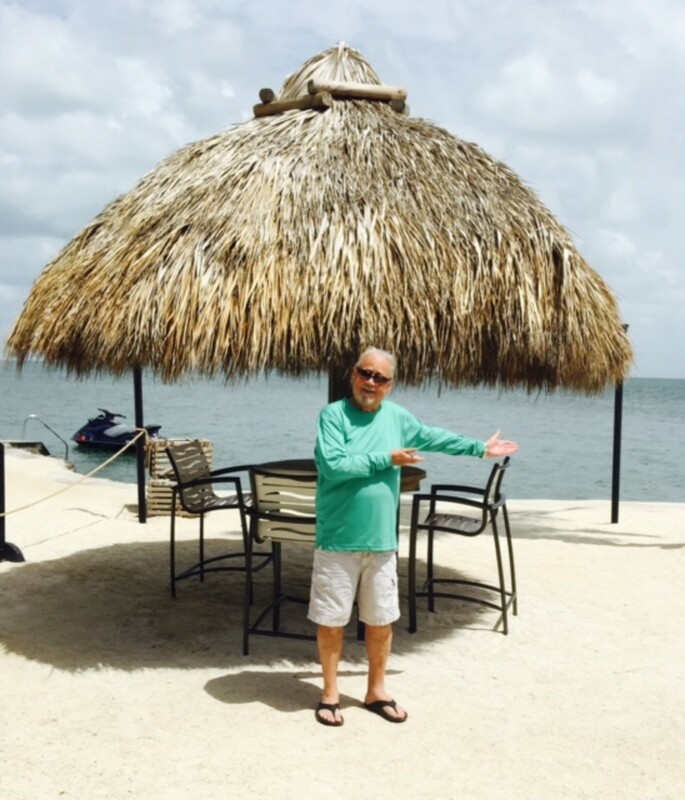 What a lot of people like about KOA is the fact that all of their campgrounds will have nearly identical amenities and functions throughout the country. Their rules and campground quality are reasonable and good, so you can usually count on there being no surprises when you check into a KOA. They will hound you via email when you let your membership run out, but I am not a very frequent user of KOA , so I let mine run out and when I ever need to stay at a KOA, I just show them my old membership card and they renew me on the spot, or over the phone. I have heard them referred to as "the Holiday Inn of Camping" because they are clean, quiet, relatively cheap, and you can find one almost anywhere. Thousand Trails, or TT is owned by Encore (ELS), and includes around 128 campgrounds located around the USA. They have regional and national memberships and you can get guaranteed stays for 1,2 or 3 weeks at a time, all depending on which contract you purchase. Your purchase entitles you to stay at their campgrounds, with full hookup without any extra charges. There are a number of different memberships available and they can be relatively expensive to purchase but they are for campers who use them regularly and not the occasional camper. If you are interested in a TT membership make sure what you want to do in your camper, how often you want to camp, and where you want to camp before you get pulled into a membership that doesn't fit what you really want to do. A TT member ship is for 10-years. Escapees is more of a Campers Social Club than any thing else. 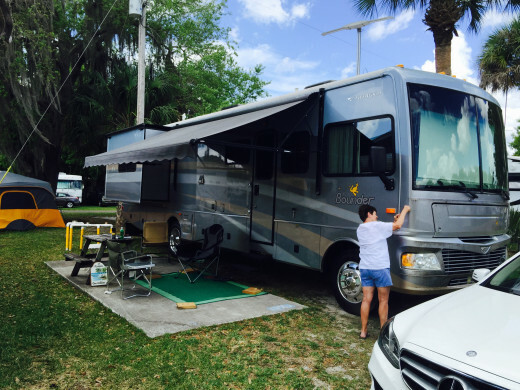 The club is just that, a Club of RV owners and regular travelers who get discounts and support services from the club as well as fellow members, all with the goals of having agreat time camping in your RV. They are affiliated with a number of campgrounds that give Escapees a discount on sites. Encore is a large international corporation that owns Thousand Trails and hundreds of Encore campgrounds sprinkles around the USA. Their campground site is called RVontheGO. On this site they provide pricing and reservations for campgrounds they own. This is also a camping club with an annual membership where you can get from 10% to 40% discounts off of their rates depending on the time of year and the campground you select. Other Membership Campgrounds - There are a dozen or more such relatively large membership campground groups out there. Some of them are regional, some are national, that I could mention here but they’re not what I would call the TOP ones with sites available nationally. Each camper needs to decide which of these, if any fits their camping lifestyle before joining one. That great Campground you’re always searching for really is out there, but if you don’t know where to look you can find yourself selecting a lower quality campground when a much better one could be only a mile or two away. Use the technology available to Smartphone owners and find that special campsite you need more easily. A BAD Campground for anyone. Patricia Scott - Thanks and I am glad that my article an help your friends. Liz Westwood - Great Story. The thing is these kinds of things happening, is not something unique. But look at it this way; You had a great camping adventure to tell your friends about. And no one was hurt either. I echo your comment about flooding. I still have vivid memories from my teenage years of staying on a campsite at the end of a lake in Austria during several days of heavy rain. Gradually the lake came further onto the site. Luckily my parents were in a camper van and we were sleeping in a trailer tent, so all raised off the ground. I saw some people using canoes in their tents, where the flood was at its worst!